The co-chairs of the March for Science Movement are young but accomplished academic scholars: Valorie Aquino is a PhD student in anthropology at the University of New Mexico whose research has already been published in Nature and Science; Jonathan Berman has a PhD in physiology from the State University of New York and studies the molecular origins of hypertension; and Caroline Weinberg, who is a clinician and health educator with a research focus on the diagnosis of genetic diseases and obesity prevention programmes in New York City schools. They and their committee of young volunteers have succeeded in drawing together an impressive list of partners from the world of academia. Their mission is to champion robustly funded science as a pillar of human freedom: “We unite as a diverse, nonpartisan group to call for science that upholds the common good and for political leaders to enact evidence-based policies in the public interest.” Their core principles include: science that serves humanity; cutting-edge science education; diversity and inclusion; open and honest public outreach; and funding for scientific research. There were two marches in South Africa. In Cape Town, the march was led by children who carried placards saying, “Science is for everyone” and “Future scientists”, and ended at the Science Centre, an educational facility adjacent to the university’s medical school. In Durban, the leaders were veterans of the era of AIDS denialism when the country’s former president, Thabo Mbeki, cast doubt on the link between HIV and AIDS. 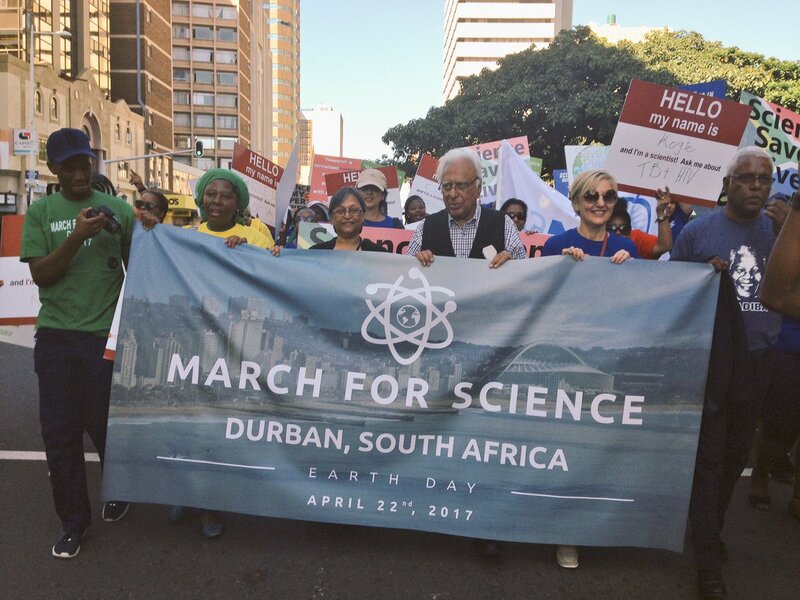 Among the marchers was Dr Glenda Gray (seen above right, © AAAS), currently president of the Medical Research Council (South Africa’s equivalent of the NIH), who was recognized last week by Time as one of the 100 most influential people in the world. 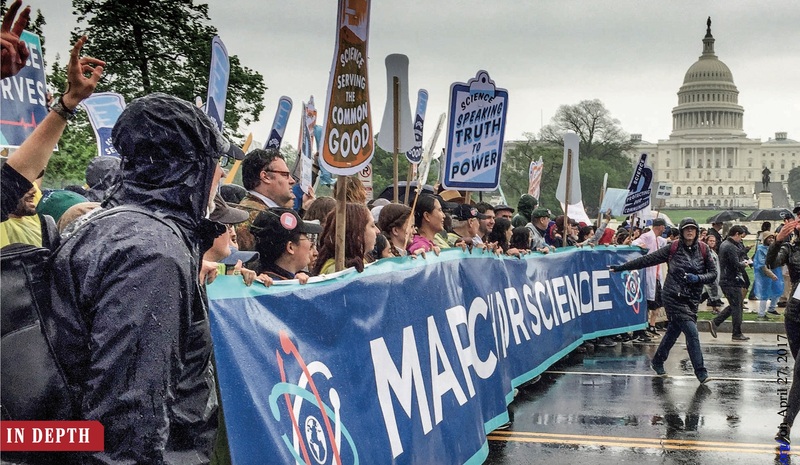 Aware their movement might lose momentum, the organisers of March for Science proposed a week of action to ensure that science: engages; discovers; empowers; creates; communicates; advocates; and connects. Now that’s a message worth celebrating! Now for another blog: What is behind the need for a march which draws 100,000 people? After all, we live in a world whose wheels go around on science and its applications and many owe their lives to it, especially in the medical field. That’s a fair comment, Eb. Here are two quotes I have extracted from the two articles that came out in Science today. Patrick Gleeson, a British accountant, wondered “What’s the point of the march?” when he encountered the crowd in central London. As if to answer, a chant arose in the march: “Respect for science!” Gleeson looked puzzled. “I thought we all respected science,” he said to his wife.